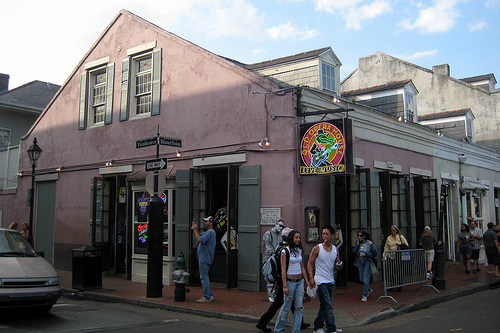 Located at 601 Bourbon Street, the Old Opera House has been the home of many famous New Orleans performing artists. Many oldtimers got their start at the Old Opera House and we feature many up and comers too! It's not unusual to see famous artists come in and get up on stage with the band that's playing. The atmosphere at the Old Opera House is not only of good times but also a place you'll feel at home. The Old Opera House is open Monday thru Friday 5 p.m. till and Saturday and Sunday 2 p.m. till.